They are brash, they are brave, and when they see a chance to be a hero, they take it. They are the Men of Defiance, and they are not easily tamed! To Leah Morgan's mind, the last thing her hometown of Defiance needs is another gunman stalking its dusty streets, especially one as sweet-talking and fine-looking as Jace Gage. Despite her warnings, the infuriating man seems determined to meddle in her life and risk his own, all for a town that can't be saved and a heart she locked away long ago. Professional bounty hunter Jace Gage has cleaned up plenty of corrupt towns in his lifetime, and he knows he can handle whatever Defiance's thugs have to offer. But the town's most lawful citizen is another story. Beautiful, willful and exasperating at every turn, Leah is the one person capable of bringing the ruthless gunslinger to his knees,Â”and capturing his desire with a single kiss. 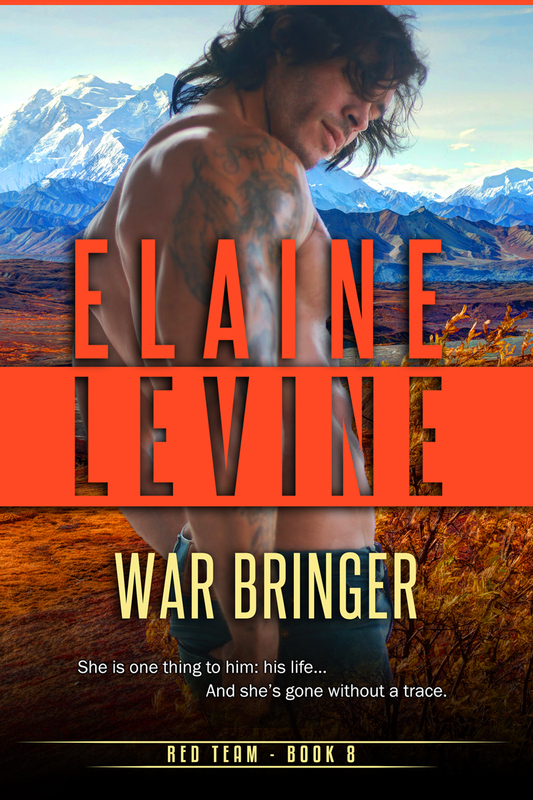 “Elaine Levine has created one of the more complex heroes I’ve read about in a long while. There are layers and layers to Jace Gage and with each new chapter, another layer is revealed. When Jace calls himself a beast, you feel his pain. When, after a particularly difficult killing, he silently pleads for Leah to see him as a man who hurts and suffers, the unspoken and unanswered plea makes you ache. The journey toward love begins with loving oneself and that is one journey neither Leah nor Jace have been able to take. Can they do it together? “I have read Ms Levine’s two previous books about the Men of Defiance and have to say that she has a unique way of weaving books 2 and 3 together like they are happening almost simultaneously. Though Leah and the Bounty Hunter stands on its own, I found that reading the other books in the series (Rachael and the Hired Gun and Audrey and the Maverick) helped round out the tale of Defiance. Virginia financier Julian McCaid has put his troubled past behind him. His plans for the future don't include Audrey Sheridan, the extraordinary frontier woman he met just once, but it's because of her that he's come to the Dakota Territory to investigate problems at his ranch. And it's all the more surprising when he discovers she isn't the innocent he believed. Now nothing but her complete surrender will purge her from his soul. If it weren't for the children she cares for in her makeshift orphanage, Audrey would have left Defiance long ago. Now the sheriff is blackmailing her to distract the man who might derail his corrupt schemes, a man who can offer Audrey not just protection, but a passion bold enough to make them claim their place in this harsh and beautiful land. Note from Elaine: This book is out of print in paperback. It is still available as an ebook from Barnes & Noble (Nook), Amazon (Kindle), Kobo Books, and Apple. 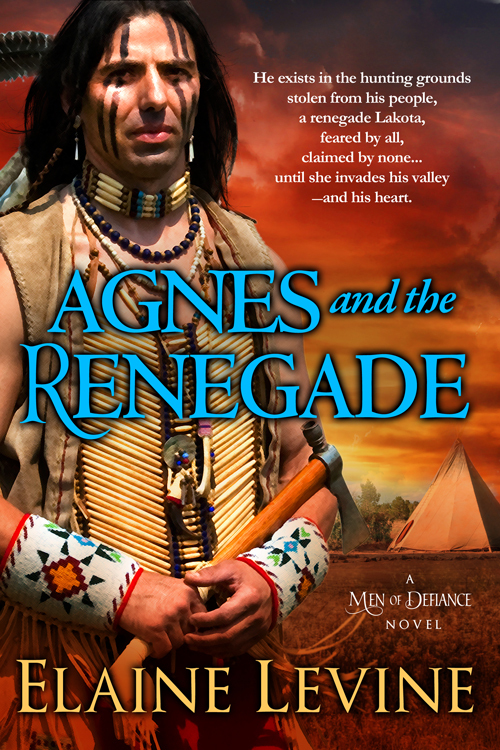 Running from a brutal past to the father she's never met, Rachel Douglas must rely on the survival skills of the hard-edged gunman her father sends to guide her across the rugged terrain of the Dakota Territory. But Sager's got another plan and a blood debt to settle. Time doesn't always heal all wounds. Sometimes it takes a little vengeance. "Fast paced and action filled, Rachel and the Hired Gun is a book you can't afford to miss. From what I have heard, there are more coming from Elaine, and I hope to get every one if they are all like this one. This will remain on my keeper shelf, and if you really want to know, I have gone back to read it again already. Sager is the best of what heroes have to offer, and Rachel is a woman you will love, so head on out and get your copy of Rachel and the Hired Gun TODAY!." --Rose, Romance Readers At Heart! "Elaine Levine makes a sterling debut with a novel filled with wonderfully complex characters set in the hard-scrabble western frontier where the line between right and wrong doesn't run so straight or clear. Sager is almost an anti-hero, hard, vengeful and filled with a deep-seated hatred. Yet, he saves a child from a wolf, tenderly ministers to Rachel's wounds and shields her from the censure of others. His slow ascent into finding his conscience and his heart has the reader rooting for him. And the sensuality that electrifies Rachel and Sager's relationship is wonderfully described. Not since Elizabeth Lowell's Only His have I read such an intense love scene set in a pool of water. Looking forward to Ms. Levine's next western historical romance." --Carol, Five Spurs from Love Western Romances Book Reviews! 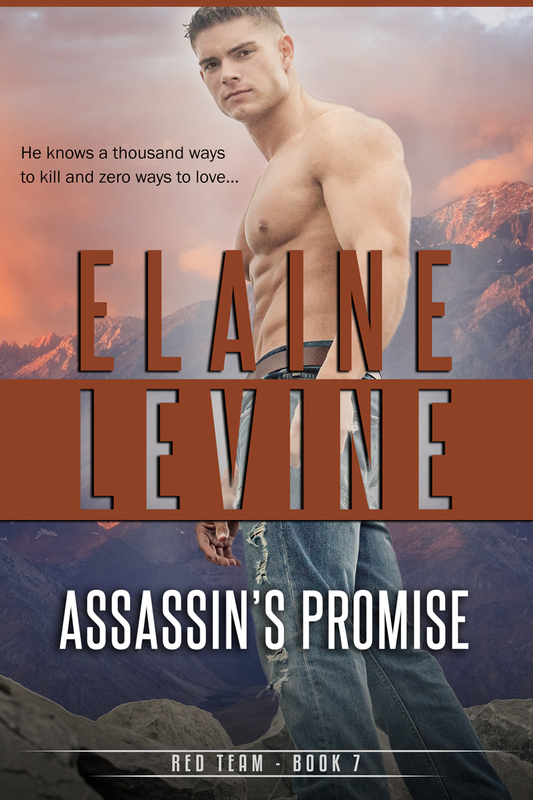 "Elaine Levine pens a story of adventure, love and redemption. The characters pop right off the page and are truly realistic. The plot is seamless, full of twists and turns that keep the reader enthralled. I loved the interactions between Sager and Rachel and I wonder if some of the secondary characters will have their own stories. Levine scores a victory with Rachel and the Hired Gun." --Nicole, Four and a Half Stars from Manic Readers! "First-time author Levine draws on classic western themes and a rugged backdrop like a veteran of the genre. Her realistic characters leap from the pages yet never supersede the emotionally charged romance. The western is alive and well with authors like Levine." --Kathe Robin, Four Stars from Romantic Times! "New author Elaine Levine offers us a stylish Western romance with a wonderful pair of lead characters, and a promise of more to come. Rachel and the Hired Gun is a welcome addition to the Western subgenre, which could use more fresh voices like this." --Cathy Sova, Four Stars from The Romance Reader!